Franz Hardy with his family in London. In an era where even lawyers are reevaluating how they spend their money, the definition of value becomes the conundrum du jour. “I want to reinforce the value in being a member of the Denver Bar Association. It’s a two-way relationship. It’s about what lawyers bring to the DBA and what the DBA provides in return.” Such clarity of vision and unbeatable precision are emblematic of incoming DBA President Franz Hardy’s leadership style within the legal and broader communities. Hardy, a partner at Gordon & Rees LLP, is an accomplished trial attorney whose focus pertains to business and insurance litigation, including representing lawyers and law firms. Beyond that, he is someone with an amiable and down-to-earth disposition with whom your time is always well spent. At a moment when the world seems to be yielding, however paradoxically, to the gravitational waves of complexity, Hardy’s faith in simplicity presents a beacon of hope for a goal-oriented community. When quizzed whether his approach would embrace Henry David Thoreau’s “simplify, simplify,” Hardy nodded with visible gusto. Actions, after all, speak louder than words. With the DBA’s 125th anniversary in the not-so-distant past and the implementation of the strategic plan in full swing, Hardy knows that greater prospects lie before us than behind us; the bar association’s future shines with more luminescence than its past. Still, Hardy knows that he has big shoes to fill and relishes the challenge of reinforcing the perception that DBA membership is a portal to priceless possibilities, career oriented and otherwise. The DBA’s incoming president is not a newcomer when it comes to leadership roles. Hardy serves as chair of Gordon & Rees’s Diversity Committee, where he has overseen diversity initiatives in more than 35 offices across the country. He is also a past president of the Asian Pacific American Bar Association of Colorado and a past chair of the University of Colorado Law School Alumni Board. Franz Hardy stands with his Davis Award next to DBA Past President James Benjamin. 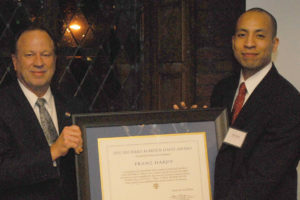 Hardy attributes one of the most pivotal points in his career to receiving the Richard Marden Davis Award in 2012. Each year, Davis Graham & Stubbs LLP joins the Denver Bar Foundation and the Davis family to sponsor the award, which is presented to a Denver lawyer “under the age of 40 who so combines excellence as a lawyer with creative civic, cultural, educational and charitable leadership as to best exemplify the character and promise of Richard Marden Davis at that stage in his career.” Being placed in the company of such inspiring individuals as Justices Monica Márquez and Richard Gabriel impressed upon him the idea that he had come into great expectations of what he could and should accomplish. Hardy is passionate about the DBA’s spectrum of work and feels honored to have the opportunity to serve the bar association’s members in a more all-encompassing capacity. While he hails from Colorado Springs, he now considers Denver to be his home. He feels fortunate to live in a city where a wellbeing-centric lifestyle continues to reign under typically sunny skies. Hardy is living proof that leading a balanced life and excelling at the practice of law do not have to be mutually exclusive. He is one of those role models who is convinced that promptitude does not require replying to emails in one’s sleep. Destressing at the gym and spending quality time with his family are fundamental pillars in his life. 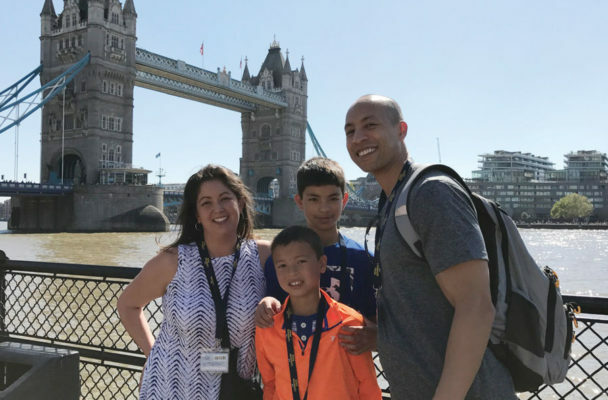 Among other adventures, he and his wife, Mari, recently took their two boys, Jackson (12) and Tyson (9), to Paris and London. “You can learn so much by traveling and experiencing other cultures,” he avers. 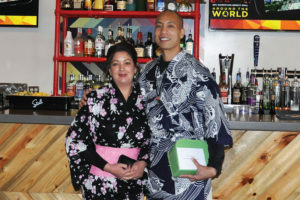 It seems fitting that the bar associations’ push for diversity and inclusivity inspired him to propose an “Around the World” theme for the 2017 Barristers Benefit Ball. Franz and his wife, Mari, at the “Around the World” Barristers Benefit Ball. It is that same worldly outlook that Hardy aspires to embrace during his term as DBA president. Hardy is someone who recognizes that we live in an increasingly interdependent world and who is capable of serving as an ambassador to specialty and diversity bar associations. His commitment to addressing the access to justice gap positions his vision in line with that of incoming Colorado Bar Association President Richard Gast. Unlike Gast, however, whose great-grandfather was the second president of the CBA, Hardy confesses that the practice of law found him somewhat unexpectedly. Like his predecessor, Hardy was the first in his family to go to law school. He hopes that his undefined path and aspirations as a diverse attorney will inspire the next generation of lawyers to pursue their individual passions and see the transferable value in being a member of the DBA. “It’s a value that you can customize. Everyone is welcome here,” he says. Hardy readily acknowledges that the legal ecosystem has been subject to its own form of climate change. To adapt to the shifting demands in the forecast, he plans to build upon Immediate Past President Nancy Cohen’s “The Denver Bar Association is Here for You” campaign and Past President Janet Drake’s “Make a Difference” call to action. 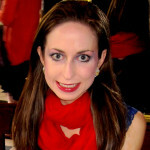 Jessica A. Volz, Ph.D. is the editor of The Docket and an editor for The Colorado Lawyer. She can be reached at jvolz@cobar.org.